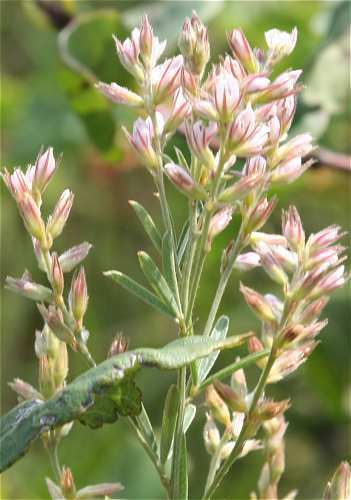 Flowers: cream to pinkish, 5-parted, 1/4" long; inflorescence a thin, sparse spike often of separated clusters of stalkless flowers; blooms July-Aug.
Floristic Rating: Coefficient of Conservatism = 8 WIS DNR-Bureau of Endangered Resources: Detailed information on Wisconsin listed species including state and federal status, photos, etc. Atlas of the Wisconsin Prairie and Savanna Flora: by T.S. Cochrane & H.H. 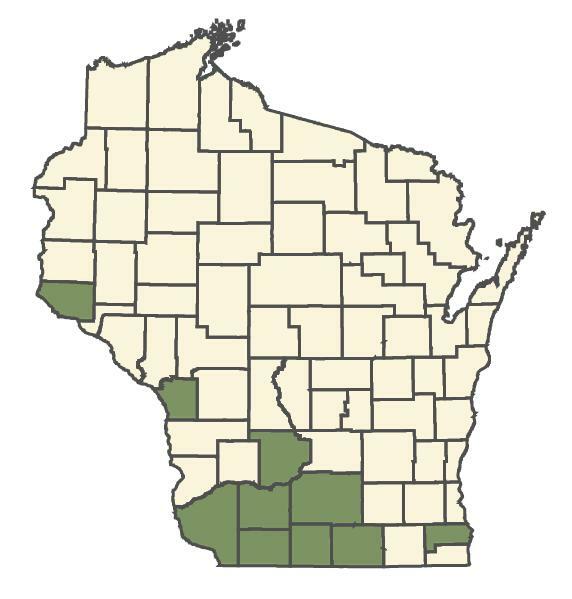 Iltis: habitat, distribution infomation / flowering and fruiting times USDA Plants Database: Federal Distribution and detailed information including photos Minnesota Dept. of Natural Resources: Rare Species Guide; description, conservation, photos, maps, etc.